In the Hood River Valley 15,000+ acres of pears, apples, cherries and other fruits, that’s over 2 million trees, will burst into blossom in April and May. It is a true sign of spring as we dust the snow off our back steps. Blossom Festival, celebrated the Month of April, welcomes the arrival of spring with a full plate of events from BBQs, to arts and craft shows, to antique sales. You won’t want to miss the Blossom Fest Quilt Show with some 80-100 beautiful handmade quilts will be on display, many for sale. Another can’t miss event is the Dessert Party at the Apple Valley Country Store. A variety of desserts, jams and jellies, all made with fresh local fruit, will be available. Start your day at one of the many Oregon Bed and Breakfasts near Mt. Hood and the Columbia Gorge with a breakfast prepared from fresh local products. Ginger baked pears, fresh Blueberry Scones, Apple Quiche, we’re talking Northwest Culinary breakfasts! With Nine Unique Inns in OBBG’s Mt Hood Region to choose from this will only be one of the hard choices you’ll face on a weekend of events for all the senses. Take the scenic 35 mile Fruit Loop through the valley’s orchards, forests, farmlands, and friendly communities. Just want to sit back and relax? The Mt Hood Railroad travels through thousands of acres of orchards in blossom and has a layover in Parkdale and the Art and Music Festival. Enjoy live music and art in the park while taking in stunning views of Mt. Hood. Visit us in the Hood River Valley at an Oregon Bed and Breakfast Guild member inn and prove to yourself that spring has definitely arrived!! The innkeepers of the Oregon Bed and Breakfast Guild are ready to share Oregon, it’s environment, culture, and heritage with you. Get to know our State like a local; stay with one of our nearly 100 hosts in any one of our many regions. Experience romantic getaways, historic treasures, and tucked away rustic retreats. Whether your trip is for a quiet escape to a quaint rural or coastal town, taking in Oregon Geotourism, for a World Class City experience, or for a new spin on business travel, you can be assured of combining gracious hospitality with ambiance by staying at an inspected and approved Oregon Bed and Breakfast Guild member Inn. 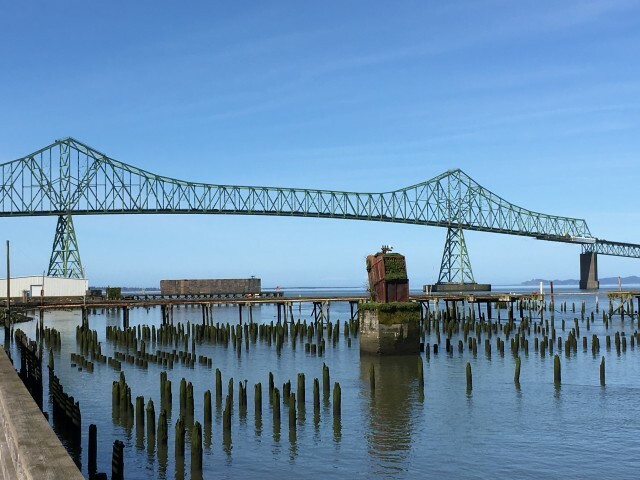 The annual Astoria-Warrenton Crab, Seafood and Wine Festival, April 26 – 28, 2019, is one of Oregon’s most popular spring events. The festival focuses on the bounty of the Pacific as well as on the region’s famous wines. Seafood lovers can savor shrimp, salmon, oysters, halibut, and clam chowder. The Northwest’s awesome microbrews and and wines are also featured. In addition to the freshest of seafood, you’ll be able to enjoy live music and crafts booths. The Oregon Coast is the place to be for Oregon Geotourism and unique Oregon Coast Lodging and the Oregon Bed and Breakfast Guild has accommodations waiting for you. Crab, seafood, wine and Oregon Coast Bed and Breakfast Accommodations. The perfect combination for the perfect Culinary Travel experience. The innkeepers of the Oregon Bed and Breakfast Guild are ready to share Oregon, its environment, culture, and heritage with you. Get to know our State like a local. Whether you’re looking for a quiet escape, a world class city experience, or a new spin on business travel, you can be assured of combining gracious hospitality with ambiance when staying at an inspected and approved Oregon Bed and Breakfast Guild member Inn. No other experience brings you that sense of home as waking up to the warm and comforting aromas of breakfast. Imagine these drifting up the stairwells and down the halls. Coffee, many times locally roasted, freshly brewed and sweet and savory delights hot out of the oven. You know that something wonderful awaits your arrival at the breakfast table. 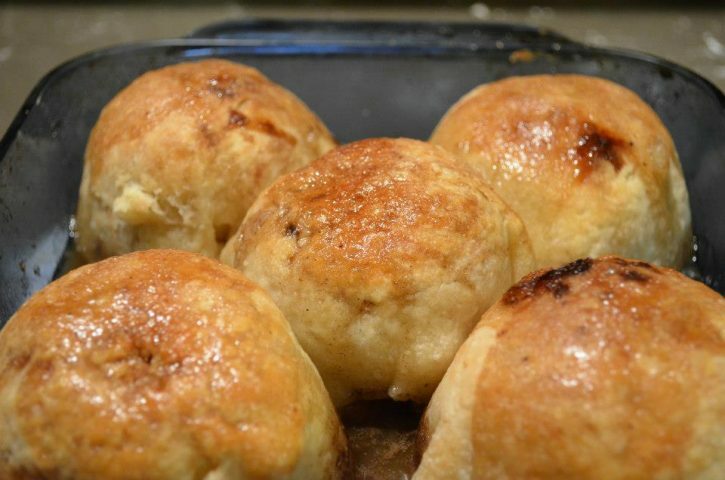 You may be surprised with fresh scones and homemade jams, gnocchi with fresh herbs, a 3” high savory custard, or perhaps a French crepe, an Italian fritatta, or a Spanish Tortilla. No matter the experience, you can be assured that the Innkeepers of The Oregon Bed and Breakfast Guild take slow food very seriously. Oregon Bed and Breakfast Guild Innkeepers include farmers, winemakers, fruit growers, and ranchers. 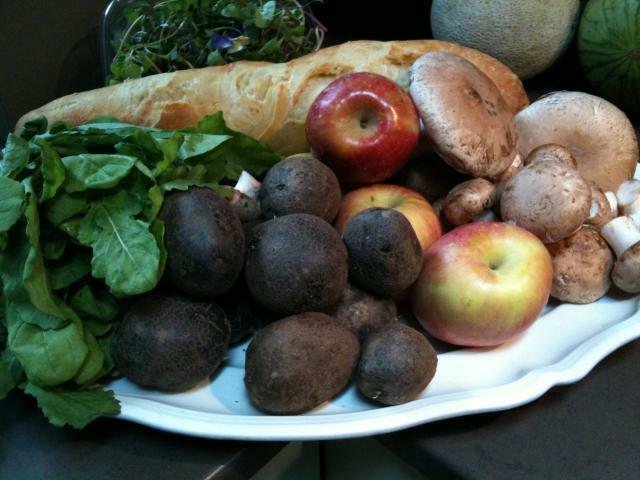 Your culinary travel experience will differ depending the region of Oregon you are visiting. Whether we serve locally grown produce, fresh farm eggs and cheese, sustainably raised meats or the wine your host may serve in the afternoon, we regard ourselves stewards of the land. There are countless Food, Wine and Beer Festivals to celebrate Oregon’s Bounty in every corner of our fine state. Regional orchard and farm loop offers you as visitors to the Northwest the chance to take a culinary vacation through the rural landscape, the coast and the urban areas. By staying with our member innkeepers, you will have an insider guide to the foods and beverages of the region. Get to know our State like a local; stay with one of our nearly 100 hosts and experience romantic getaways, historic treasures, and tucked away rustic retreats. Whether your trip is for a quiet escape to a quaint rural or coastal town, taking in Oregon Geotourism, for a World Class City experience, or for a new spin on business travel, you can be assured of combining gracious hospitality with ambiance by staying at an inspected and approved Oregon Bed and Breakfast Guild member Inn. Oregon has approximately 6200 acres of apple orchards in three major regions: the Willamette Valley, the Mid-Columbia Valley and eastern Oregon’s Milton-Freewater area. The most popular varieties of apple grown in Oregon are Fuji and Gala but in the Hood River Valley we have one orchardist growing over 50 varieties. Mix pancake mix, Hazelnuts and water together, will be a little lumpy. Let stand. Swirl melted butter in the pie plate so that the edges are coated. Place the thin sliced apples around the bottom of the pie plate. Add the berries of choice. Sprinkle the cinnamon evenly over the apples and berries. Gently pour the syrup over the apples and berries. Spoon the pancake batter gently over the apples and berries. Do not pour as this will disturb the apple arrangement. Loosen sides of pancake when done; put a plate on top and turn over, like an upside down cake. 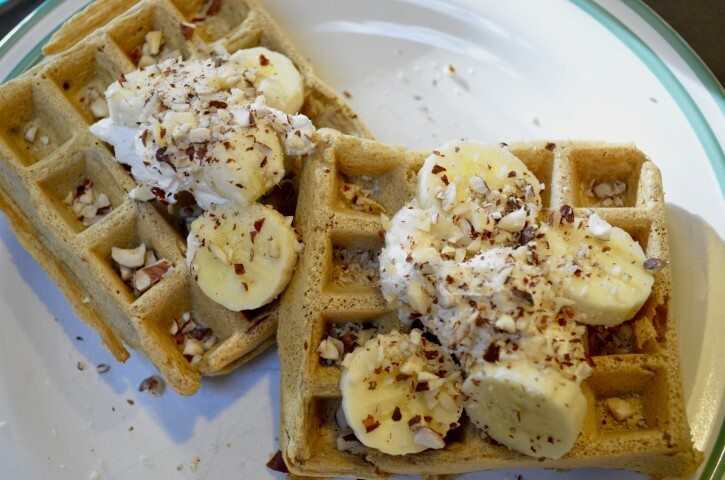 Serve with whipped cream and candied Hazelnuts. Extra syrup is optional. Enjoy. October is recognized as National Apple Month and Oregon is among the leaders in fine apple production. Apples are a member of the rose family of plants and the blossoms are much like wild-rose blossoms. Oregon produces over 21 commercial apple varieties, with Fuji and Gala leading the state’s production but we know of one orchard, Kiyokawa Family Orchards in the Hood River Valley that grow over 90 different varieties! The state’s rainfall and mild climate make it a prime location for apple orchards. The most orchards can be found in Oregon’s northwestern region near and around Portland. In 2015 Oregon produced an estimated 110 million pounds of apples. 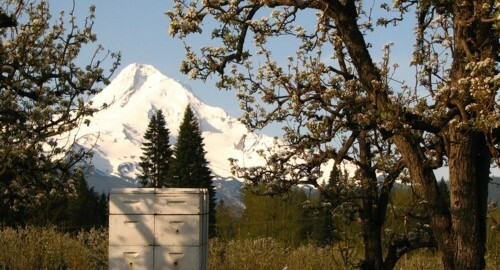 Today, the Hood River Valley is one of the major growers of apples. Kiyokawa Family Orchards in the Hood River Valley have been growing the finest produce available since 1911. The fertile soils found at the base of Mt. Hood and rarified, glacier-fed water sources create a unique growing environment. The Kiyokawa’s take pride in promoting local and sustainably grown produce and utilize a farm management system that incorporates best management practices. In a small saucepot, combine the water, sugar, cinnamon and butter. Bring to a boil and stir until the butter melts completely. Remove from heat and let cool while you make the dumplings. In a large bowl, combine the flour, salt and shortening. Mix with your fingers until dough has a grainy texture (will look sort of like cornmeal). Add the milk and mix until combined. Roll out dough to 1/8th inch thick on a well floured surface. Cut into 4-5 large squares. Peel and core your apples then place one apple on each square of dough. Sprinkle cinnamon and sugar over top of the apple then gently wrap dough around apple, sealing edges with a little water. Don’t worry if the dough doesn’t completely enclose around the apples—just do the best you can. Place the dumplings in a greased pan and pour the sauce over the dumplings and around the sides of the pan. Bake for 40 minutes until golden brown. Hanner’s Jumbo. Zestar. Hokutoi. Sansa. Ever heard of these apples? How about Butter, Mederis, or Cascade pears? I hadn’t, until I discovered an amazing family farm just a mile and a half from our inn, the Old Parkdale Inn. Kiyokawa Family Orchards, located in the Upper Hood River Valley, has been growing the finest produce since 1911 and along with the “old world” varieties you’ll find also the more common Bartlett Pears, Gravenstein and Fuji apples. The fertile soils found at the base of Mt Hood and glacier fed water sources create a unique growing environment allowing for the farm to grow over 80 distinctive varieties of apples, pears and Asian pears. The farm offers both the largest u-pick orchards in the valley along with ready picked fruit, award-winning pies, turnovers, local honey, jams, and fresh cider. The Hood River Valley is in the middle of its fall harvest and we invite you come up and enjoy our warm days, cool crisp nights, awesome fall foliage and of course Kiyokawa Family Orchards. Plan to spend at least a day or two, maybe more, as there is just so much to explore. Be sure to reserve your room early at a Mt Hood Bed and Breakfast of the Oregon Bed and Breakfast Guild. We suggest coming during the week as the weekends with all its harvest activities, festivals and special events, can get a bit crowded as more and more folks “discover” the Hood River Valley. The fruit tastes even better during the week!! Pumpkins, Pinot and Pears. The Oregon Bounty harvest is on. 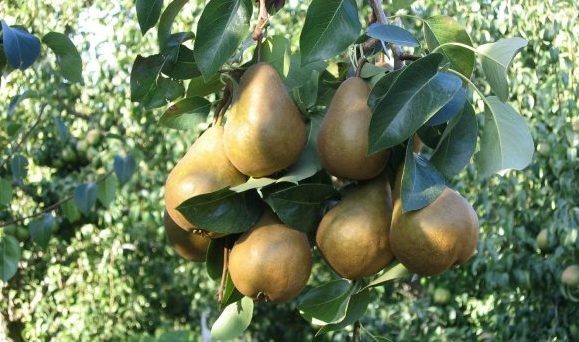 Did you know that over 80% of the pears in the world were grown right here in Oregon? Mostly in the Hood River Valley in Northern Oregon. It’s the perfect time to take that drive called the “Fruit Loop” in Hood River, Oregon. Winding through orchards, farms, roadside stands and vineyards, the Fruit Loop sounds like a perfect thing to do while you are visiting an Oregon Bed & Breakfast. Don’t forget to pick up some fresh fruit and a homemade pumpkin pie, or apple, or pear, or cherry. They all go great with the Oregon Pinots. And then there’s the Pinots. Harvest of that lovely fruit that makes Oregon so famous for it’s wines will soon begin. Oregon’s prize winning, world renown, and absolutely palate pleasing wines are featured not only at our inns, but everywhere you go in Oregon. Pairing some of Oregon’s wines with a few slices of several varieties of pears and of course pumpkin pie, makes for the perfect Autumn afternoon. The temperate climates and volcanic soils of Oregon’s Willamette Valley combine to create 99 percent of the U.S. hazelnut crop. Oregon hazelnuts are recognized for their large size and distinctive flavor and about 50% of the crop is exported annually. That leaves plenty for the innkeepers of the Oregon Bed and Breakfast Guild to share with guests in unique and delicious ways. 1 ½ c. buttermilk, and mix well. If too thick, add remaining buttermilk. 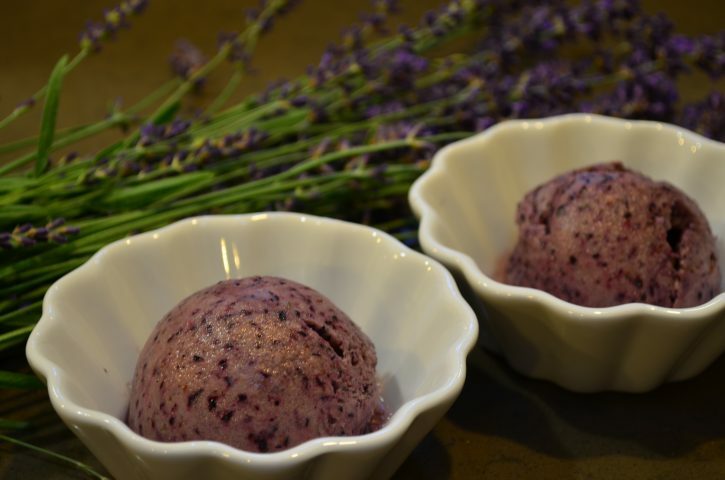 Lavender Blueberry Sorbet is a palette cleansing first course at the Old Parkdale Inn Bed and Breakfast, a dish produced from an explosion of Blueberries and Lavender in Oregon’s Hood River Valley. 1. Peel ripe bananas, wrap in glad wrap and freeze overnight. 2. Add frozen bananas, blueberries, and coconut milk to food processor or blender and process until fluffy, smooth, and creamy. 3. Add lavender and carefully mix through with wooden spoon. 4. Empty the mixture into a container and put back into the freezer for a few hours to set. The Old Parkdale Inn is located in the Upper Hood River Valley on the north slope of Oregon’s tallest peak, Mt. Hood, in the quaint town of Parkdale. Outdoor adventure, farms, wineries and fine dining are nearby. The complete privacy of the inn and the serene gardens are perfect for romantic and restful getaways.